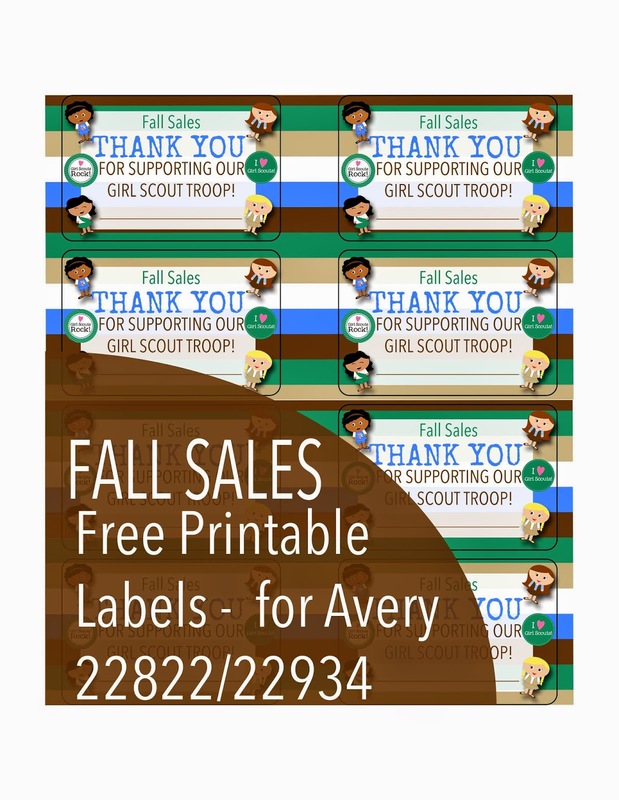 Here are some Fall Sales Thank You labels for those of you whose troops are gearing up for Fall $ale$! They're designed for Avery labels 22822 or 22934 or compatible. They could also be printed on regular paper. Click HERE to download or on the image below. Good luck to your troop! Hi Shannon! Email me at jamiesrathbun@gmail.com and let me know what level you need. I may have something that will work. Thank you SO much for making the fall sales thank yous. I have been looking everywhere and was pretty close to making my own. Will you be creating other versions of the fall sales thank you?